A vegan diet can meet recommendations for protein intake regardless of age, gender or level of physical activity. The key is adequate caloric intake and a varied diet. 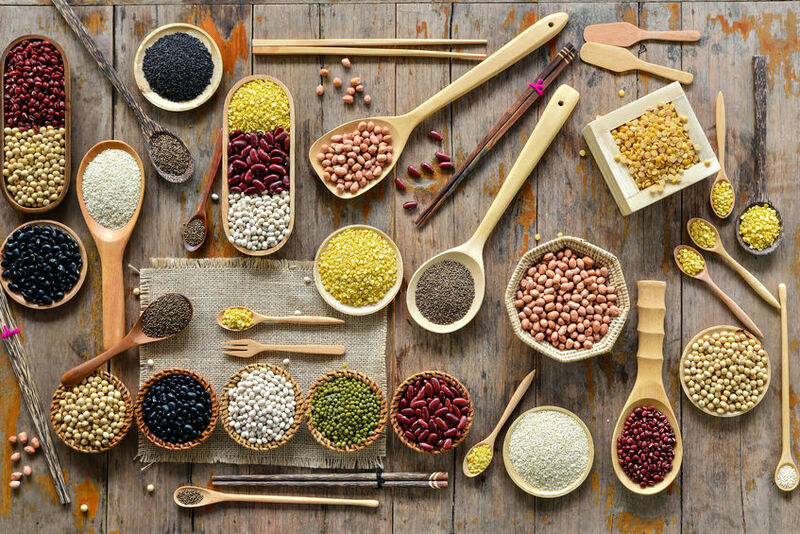 Protein-packed vegan foods include legumes (beans, peas, chickpeas, fava beans, lupin beans and lentils), soy and soy products (tofu, edamame, tempeh, TVP, soy milk and yogurt, etc. ), seitan and quinoa. Nuts and seeds, grains and vegetables also provide varying amounts of protein. Healthy adults require approximately 0.8 grams of protein per kilogram of body weight each day, regardless of gender. This means that a man weighing 70 kg (154lbs) needs to consume approximately 60 grams (~2 oz) of protein per day (70 x 0.8 = 60). Meanwhile, a woman weighing 60 kg (132 lbs) requires 48 grams (1.7 oz). Athletes require more protein, but with proper planning, they can also easily obtain all the protein they need from a vegan diet. For example, one cup of cooked lentils contains the same amount of protein as three eggs (18 grams/0.6 oz) and provides 30% and 37% of the daily protein requirements for men and women, respectively. The quality of protein obtained from a balanced vegan diet is suitable for all bodily needs. You can get high biological value proteins (which provide all the essential amino acids in the right proportions) from soy, soy products, legumes and grains (these do not necessarily need to be eaten during the same meal). In addition to providing suitable amounts of protein, vegan protein-packed foods come with added benefits. They are low in fat and sodium and high in fiber, minerals, vitamins and phytochemicals. A plant-based diet will not only meet your daily protein needs, but will also lower your intake of unhealthy elements found in animal protein and may also increase your intake of healthy nutrients found only in plant foods, such as fiber and phytochemicals.